MP3 is short for MPEG Audio Layer 3. 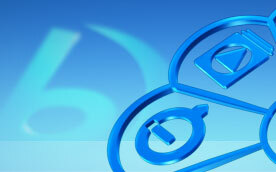 It is an international standard digital audio encoding format used for lossy data compression. MP3 is short for MPEG Audio Layer 3. 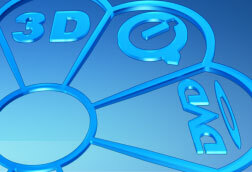 It is an international standard digital audio encoding format used for lossy data compression. It is used in audio storage commonly, and as a de facto standard of digital audio compression used on digital audio players for music transformation and playback. 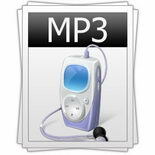 MP3 was developed by Fraunhofer-Gesellschaft and Thompson Multimedia in the late 1980s. And it became to be the mainstream through the Internet in 1997. Generally, it is a revolutionary audio format designed by the Moving Picture Experts Group as part of its MPEG-1 standard. MP3 allows for smaller file sizes with similar sound quality to PCM WAV format. When creating an MP3 file, usually it allows setting the bit rate, along with the space size and sound quality. Besides the bit rate to MP3 created, the quality of MP3 files also depends on the encoder quality. And the difficulty of the encoded signal should be considered. Since MP3 format allows setting the bit rate relatively freely in the encoding algorithms, there are different encoders encoding MP3 files in very different quality, which may be all generated from identical bit rates. MP3 is popular, mainly because its practical uses. WAV format music is so large, which is around 50 MB size. Due to its big size, it is not convenient to be used through emails or to be downloaded on the Internet. Not like WAV format, MP3 can compress audio of 10 to 12 times smaller than the original size, about 3 to 4 MB in size. This size is appropriate to be sent by emails and downloaded on the Internet. The other reason for MP3's popularity is that it can turn your PC into a jukebox of hundreds or thousands of songs, or load them into a portable mp3 player. So you can enjoy your favorite music and songs anywhere at your will.